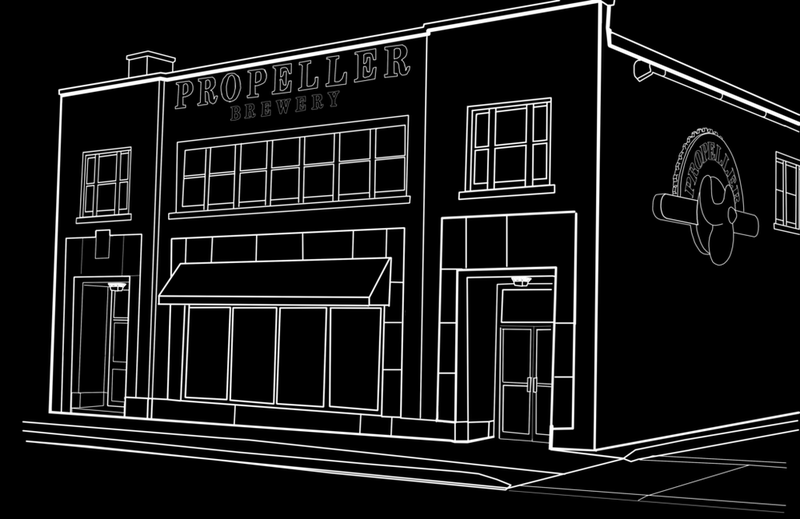 Why we Brew — Propeller Brewing Co.
Well, we really like good beer. And we especially like the taste of classically-styled, world-class beers. Did we say we like good beer? Brewing good beer takes two important elements—the highest quality, all-natural ingredients and a talented brew master. We think our way of balancing hops and malts and how we choose to brew is much art as it is a science. It’s not that we mind big beer conglomerates. It’s just that we prefer the taste of a craft beer and the hyper-locality of this sort of brew. The people who own the brewery actually make the beer. And besides that, we happen to enjoy getting to know and recognize the faces of the people who like our beer. Enough talk. Time for taste. And if you’re near either of our breweries, come and visit.